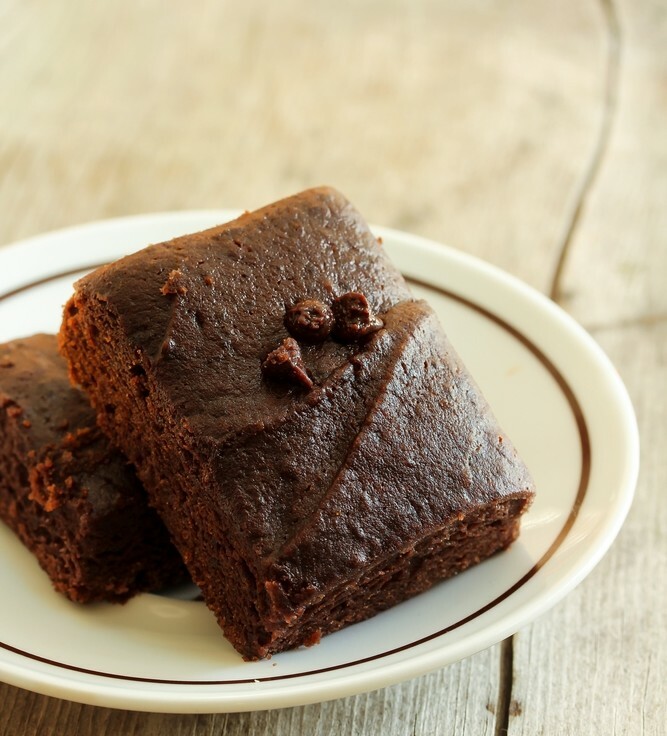 Bean Brownies - Vegans Eat What? Vegans Eat What? Think a healthy brownie can't also taste good? This brownie made with red beans and dates proves otherwise! Preheat oven to 350 degrees. Line the bottom of an 8 x 8 baking pan with parchment paper. Pulse beans, dates, jam, and vanilla in a food processor until smooth. Add the flour, carob powder and salt and pulse again until the batter is smooth. Stir in the nuts, cranberries and coconut. Spoon the dough into the baking pan. Spread the dough evenly around the pan with a plastic covered hand. Bake at 350 degrees for 30 minutes or until the top of the brownie cake is firm and set. Cool before removing from pan. Serve with sliced fruit. Most jam has added sugar so be sure to read the label to find a brand that is sweetened with a fruit juice concentrate. 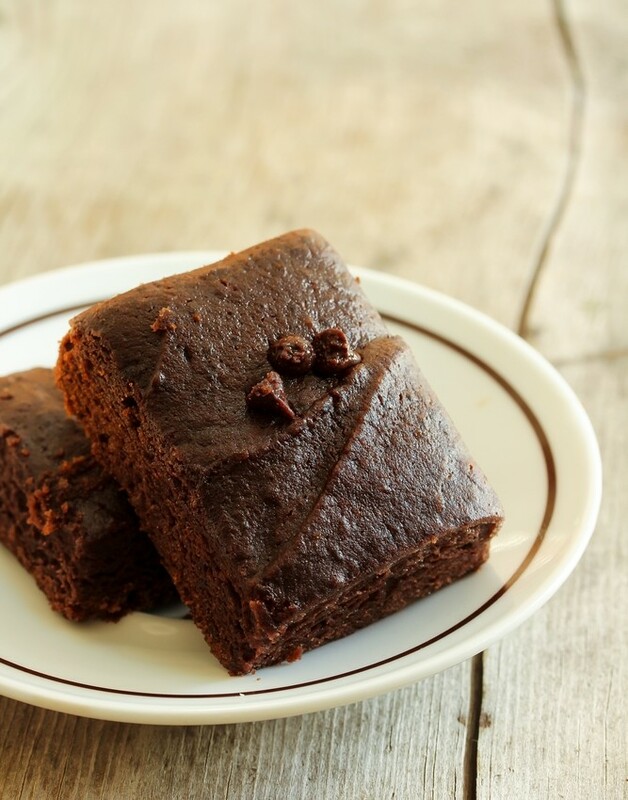 Store leftover brownies in the refrigerator for up to one week.